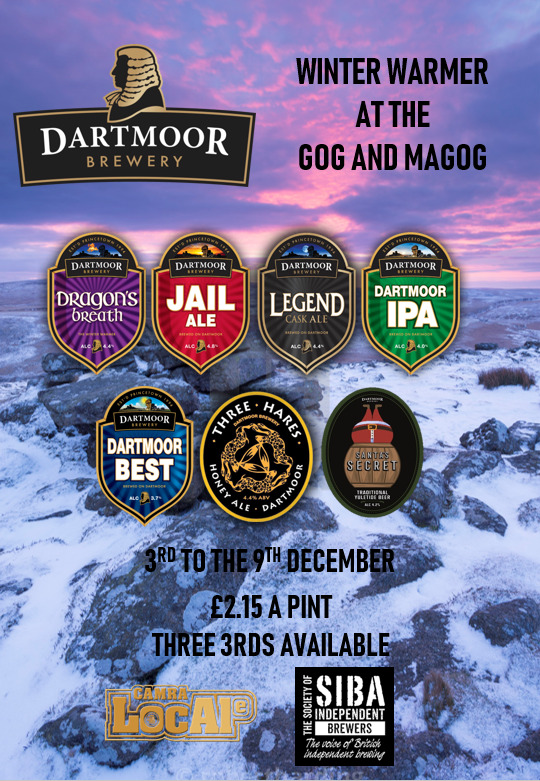 Here's a Winter Warmer from Plymouth's popular Gog & Magog - 7 whole days of Dartmoor Brewery Tap Takeover! You'll find the busy Gog & Magog in the heart of Plymouth's historic Barbican and Sutton Harbour waterfront district, a mere stone's throw from the spot where the Pilgrim Fathers set sail for America in 1620. Running from 3rd to 9th December, the Tap Takeover will give you a festive opportunity to try out most of the Dartmoor Brewery range of fine craft ales. 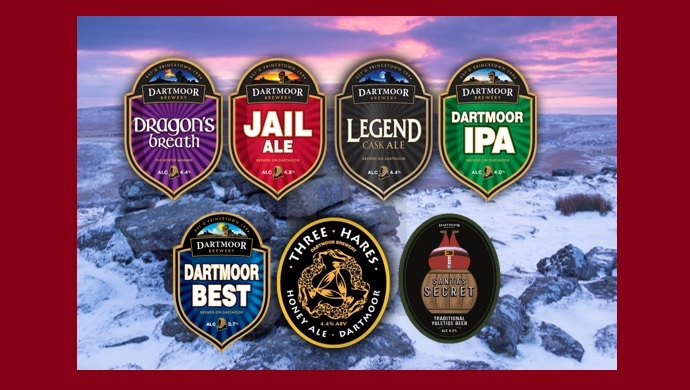 Enjoy our famous Jail Ale by all means - but for a tasting experience enjoy three one-third-pints of three different Dartmoor Brewery beers.